MD vs DO: What Are the Differences (and Similarities)? What’s the Difference Between MD and DO? MDs practice allopathic medicine, the classical form of medicine, focused on diagnosing and treating human diseases. DOs practice osteopathic medicine, which views the patient more holistically to reach a diagnosis, rather than treating symptoms alone. But how much of a difference is there really? 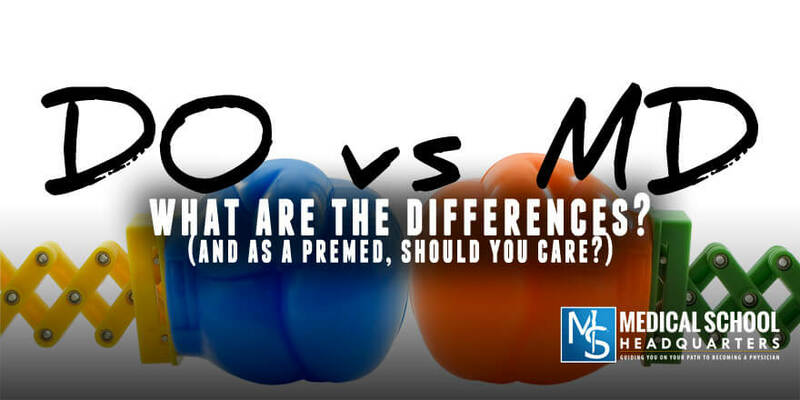 And how much does the difference matter for someone looking to pursue a career in medicine? In this article, we’re going to look at the philosophy, history, training, reputation, and salary differences between MD and DO to help you decide. Spoiler: At the end of the day, when you walk into the room with a patient and close the door, you are a physician. It doesn’t matter what letters are after your name. All your patient cares about is whether you care about them. Osteopathic (DO) medical schools emphasize the belief that all parts of the body work together and influence each other. They also place an emphasis on the prevention of disease. In osteopathic medical school, students receive specific training on osteopathic manipulative treatment (OMT), a hands-on approach to diagnosis and treatment. But the difference between MD and DO philosophies may not be so substantial in practice. Look at the students who are applying to DO schools because they say they appreciate the holistic philosophy and focus on prevention. Often, four years later, those same students are going into specialties like dermatology, surgery, and emergency medicine. These are not fields focused on prevention. I’ve made the argument in another post—“Should We Even Have a DO Degree?”—that DOs should distinguish themselves more from MDs. In 2020, accreditation for MD and DO residency programs are integrating, and they’ll become even less distinct. But in that case, why not just make all the schools MD schools? If we’re going to keep a separate degree (DO), then it should actually be different. It should actually be focused on prevention and primary care. MD vs DO: How Common Are DOs? There are approximately 800,000 practicing physicians in the United States today. Roughly 50,000 of these physicians are DOs, while MDs make up the remaining 750,000. DOs, therefore, make up less than 10% of practicing physicians in the US today. However, the balance of MDs and DOs is changing. One-quarter of medical students currently in training in the US now are DO students. So while the MD will remain the more common degree, the proportion of DOs is increasing. Historically, DOs have been more recognized and more familiar in certain parts of the country where DO schools are located. This separation may not be as strong anymore with the proliferation of osteopathic medical schools and residency programs across the country. The practice of medicine in the US dates back to the early 1600s. At that time, medical practitioners were divided into 3 groups: physicians, surgeons, and apothecaries. When university-trained physicians from England came to the US, those physicians were trained to perform surgery and prepare medications. As such, the 3 groups dissolved into a common group of physicians and surgeons. The first medical societies were developed in the mid-1700s and began regulating medical practice by 1760. On March 12th, 1807, they created the first medical college known as the Medical College of the Medical Society of the County of New York. Dr. William Osler created the first medical residency. By the 1930s, MDs were required to complete a 1-year internship following completion of medical school. MD programs continued to evolve over the years into the current 4-year programs offered at 141 medical schools in the US today. There are also 17 Canadian medical schools which have MD programs today. Osteopathic medicine was developed by Dr. Andrew Taylor Still in 1874. Osteopathic medicine was founded on the philosophy that all bodily systems are interrelated and depend on each other. Dr. Still opened the first school of osteopathic medicine in Kirksville, Missouri, in 1892. Because of the philosophy of osteopathic medicine, DO programs tend to produce physicians who go on to practice in primary care. Today, 60% of practicing DO physicians work in family medicine, internal medicine, pediatrics, and obstetrics and gynecology. That said, it is still possible to become a surgeon and to practice in any number of subspecialties as a DO. A 4-year college degree is required prior to both MD and DO medical school. Prereqs vary by school but include physics, biology, general chemistry, organic chemistry, biochemistry, statistics or calculus, and English. Medical school is 4 years long. Residency is 3-7 years long depending on specialty choice. They can both legally perform surgery and prescribe medications in all 50 United States. There are more MD programs in the US than DO programs. MD applicants use the AMCAS application to apply. DO applicants use AACOMAS. More MD programs offer dual-degree programs such as MD/PhD and MD/MPH. Comparatively few programs offer DO/PhD degrees. DO schools tend to offer more clinical rotations in rural community locations that require travel. MD schools tend to have more clinical rotations in urban academic medical centers. MDs-in-training must pass the USMLE Step exams to become licensed. DOs-in-training take the COMLEX Level exams instead. Osteopathic medical schools have historically been considered less competitive than allopathic medical schools. This is largely due to the gap in the average stats of matriculants. In 2017, the average MCAT score of students matriculating into DO medical schools was 503.1. This is compared to 511.2 for students matriculating into MD medical schools. Osteopathic medical schools may continue to attract less academically competitive applicants based on admissions statistics from previous years, thereby perpetuating the reputation. Still, the distinction between MD and DO is fading. Fewer and fewer people continue to hold a bias against DOs. Are DO Medical Schools Better for Nontraditional Students? Osteopathic programs are thought to focus more on the “whole candidate” rather than grades and MCAT scores. This tends to make their programs more attractive to older students who have had other careers prior to medical school. In 2012, the acceptance rate was actually lower at osteopathic medical schools than for allopathic medical schools. It was statistically easier to get into MD schools! When applying to residency programs, MD applicants are often considered to be more competitive than DO applicants. If you are a 4th-year student in a DO program and you want to complete an allopathic residency, your chances of matching are approximately 70% compared to about 95% for 4th-year students in MD programs. As was previously stated, it is now typically harder to get into an osteopathic school, than an allopathic school. So why does the reputation continue to be perpetuated? It mostly has to do with stats. As stated above, DO schools have done a much better job of looking at the whole applicant. Don’t let the perceived competitiveness of a program limit where you want to apply! All things being equal, MD and DO salaries are comparable. DO salaries may appear lower since many DOs go into primary care, which tends to pay less. MDs also often practice in urban areas, where costs of living and therefore salaries may be higher. Although the MD degree may correlate to higher salaries, MDs are not getting paid more than DOs because of the degree they hold. If an MD and a DO with the same years of experience hold the same position, we would expect their salary to be the same. This map may become out of date, so double-check current regulations if a specific country is of interest to you. Refer to AOA’s page on international licensure for more about practicing internationally as a DO. Yes, DOs can prescribe all the same medications that MDs can. From a legal perspective, MDs and DOs are viewed equally in the United States. All 50 States and the District of Columbia allow licensed DOs to practice surgery and prescribe medicine. Is It Easier to Get into DO Schools Than MD Schools? Lower acceptance rates suggest it’s actually harder to get into DO schools. However, average GPA and MCAT scores are lower at DO schools. So if academics are your weak point, DO schools may be more open to you. Why Should I Shadow a DO Before Applying to a DO School? Osteopathic medical schools want students familiar with osteopathic philosophy. If you shadow a DO, you may get to see them perform osteopathic manipulative medicine (OMM). You can also ask them why they chose to be a DO. Why Is There a Pay Difference Between MD and DO? The biggest factor determining your physician salary is your specialty. More DOs choose primary care, which tends to pay less than procedure-based specialties. But DOs can choose any specialty, and DO salaries are comparable to MDs within each specialty. Can a DO Become a Surgeon? Yes, DOs can pursue all the same specialties as MDs, and this includes surgical specialties. However, the osteopathic (DO) philosophy emphasizes prevention and holistic medicine, so it is more common for osteopathic doctors to pursue primary care than surgery. Since allopathic doctors (MDs) have been so much more common than DOs in the US, many myths have been able to circulate about osteopathic medicine and DOs. Back in episode 26 of The Premed Years podcast, I interviewed two DO medical students, Patrick Wu and Jonathan Siu, about the “6 Myths of Osteopathic Medical School.” Patrick and Jonathan are the authors of A Brief Guide to Osteopathic Medicine – For Students, By Students, which is a great free primer on osteopathic medicine. To hear the refutations of these common myths, listen to the podcast with the player below, or check out the show notes for that episode. When I initially thought about what kind of medical school I wanted to attend, I was leaning towards going to an osteopathic medical school. I was studying exercise physiology at the time. I was also working as a personal trainer. When reviewing the difference between MD and DO schools, I liked some of the philosophies and teachings of osteopathic medicine. Ultimately, I chose to only apply to allopathic medical schools. This is because, at that time, I was certain I wanted to be an orthopedic surgeon. If you review the residency Match data for orthopedic surgery, osteopathic applicants have a much harder time matching to allopathic residency programs. Yes, there are osteopathic residencies, but the numbers are very slim compared to allopathic programs. So while I do still lean towards some osteopathic thinking today, I chose to have the numbers on my side and apply to allopathic medical schools. In the end, did it matter? Yes and No. Yes, because I met my wife in medical school. No, because I ended up working as a flight surgeon and loving it before becoming a full-time podcaster. Should You Apply to Both MD and DO Schools? If what you care about is being a doctor and taking care of patients, my advice is to increase your chances by applying to both DO and MD schools. As the Dean of MSUCOM told me, “If you really want to be in medicine, then take every advantage you can get to try to get there.” That means applying to both MD and DO. There is some bias out there against DOs, and there always has been. But the bias is slowly eroding. If you listen to my Specialty Stories podcast, I interview physicians from all different specialties, and I ask them if they see a bias against DOs in their specialty. Most of them say no. As older physicians are retiring and Gen-X doctors are coming up, we’re getting more and more openness towards DO students. As noted above, 25% of all medical students right now are DO students. At the end of the day, do you want to be a physician, or do you want to go to a specific medical school? That’s the question. 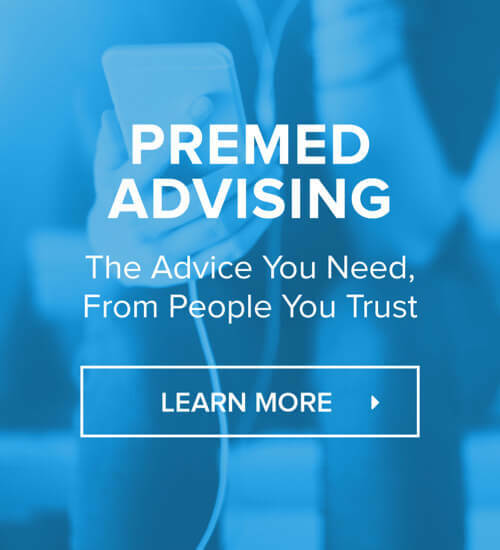 Related episode: DO vs Caribbean Medical School: What Should I Do? Related episode: MD or DO vs PA: How Do I Decide Which Is Best?